Another commission for Carl Gnam at Realms of Fantasy magazine. The story was a haunting tale by Tanith Lee. I greatly enjoyed alluding to the tale in the frieze. 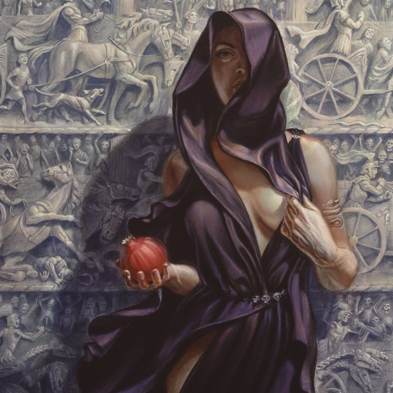 The fruit in the woman's hand is a pomegranate, indicating that this is Persephone, the goddess of the underworld-Death.